Liberty Guesthouse is a 3-minute walk to Mano Temple. 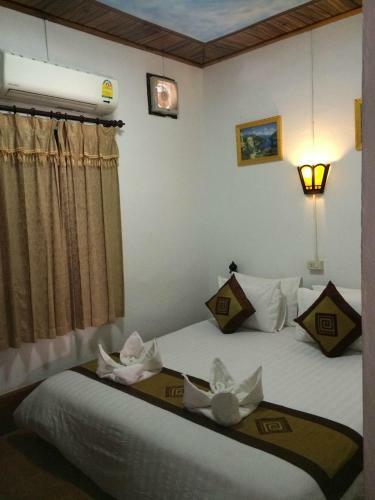 It offers clean and comfortable rooms with air-conditioning and free Wi-Fi. Shuttle service, laundry and luggage storage can be arranged at the 24-hour front desk. Free public parking is possible at a location nearby. The guesthouse is a 10-minute walk to National Museum and Phousi Hill. It is a 15-minute drive from Luang Prabang Airport. Rooms at Liberty Guesthouse are furnished with simple decor. Each room comes with a TV and wardrobe. An en suite bathroom is equipped with shower facilities. Local dining outlets can be found within a 5-minute walk from the guesthouse.